Presenting to you 4 gorgeous Indian hairstyles inspired by the monsoon festivities of Teej! Come monsoons, and all Indian women especially up north, start looking forward to the festival of Teej. So this time around, while I was trying to figure a look for myself for the upcoming Teej, I came across these really glamorous Indian hairstyles. Sharing them with you too. Braids have always been a part of the quintessential Indian traditional look. But let’s spice up the traditional braid a bit by going for a messy fishtail braid worn sideways. Just follow the step by step tutorial and you’re all set. Side part your hair and sweep them off to one side, securing all the small hair with bobby pins. Now divide your hair into two sections and start braiding by pulling out a few strands from the outside of one section and braiding inwards merging it into the other section. Next up, pull out a few strands from the outside of the other section and braid it into the first section. Repeat the same, pulling hair strands alternatively from both the sections until you’re left with a little portion of hair which you want to leave open and unbraided. 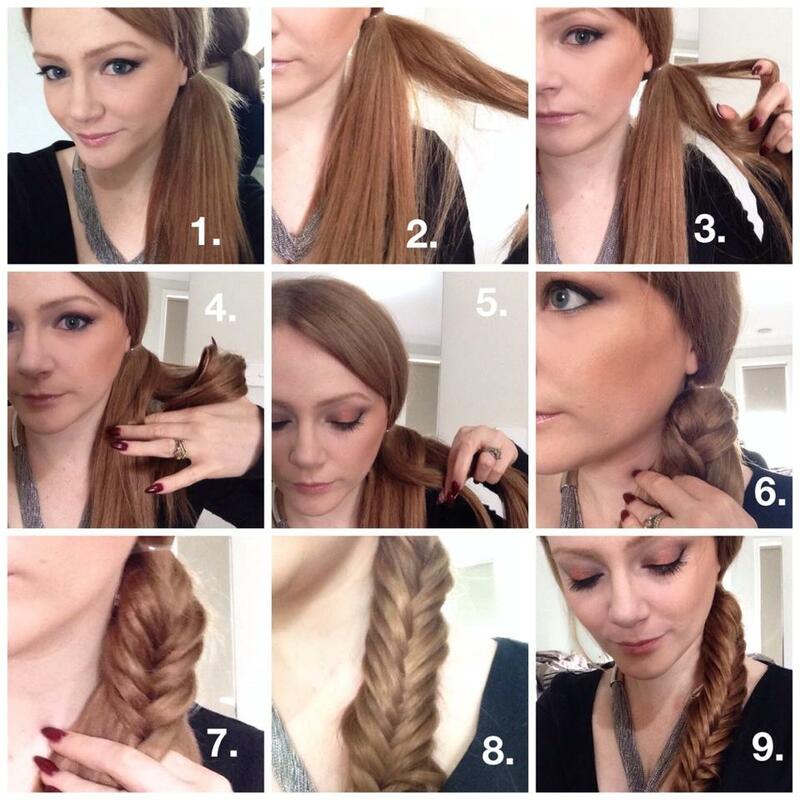 Secure your hair together with a rubber band and you’re ready with your side swept fishtail braid. We’ve all grown up making those beautiful French braids starting from the crown of our head and going down all the way to the neck. But have you tried French braiding the front section of your hair yet. This is how it goes. Part your hair (center or sideways is a personal choice). Now pick up a section of hair from one side, securing the rest of the hair with hair clips for the time being. Now take a thin section of strands from the inside and start braiding it like you make your regular braid. Pick up a thin section of strands with a tail comb from the front, merging it into the braid. Keep picking up small strands one by one, emerging and braiding them together until you’ve reached the side of your head. Now complete the braid without picking up anymore strands and pin it up at the back of your head. 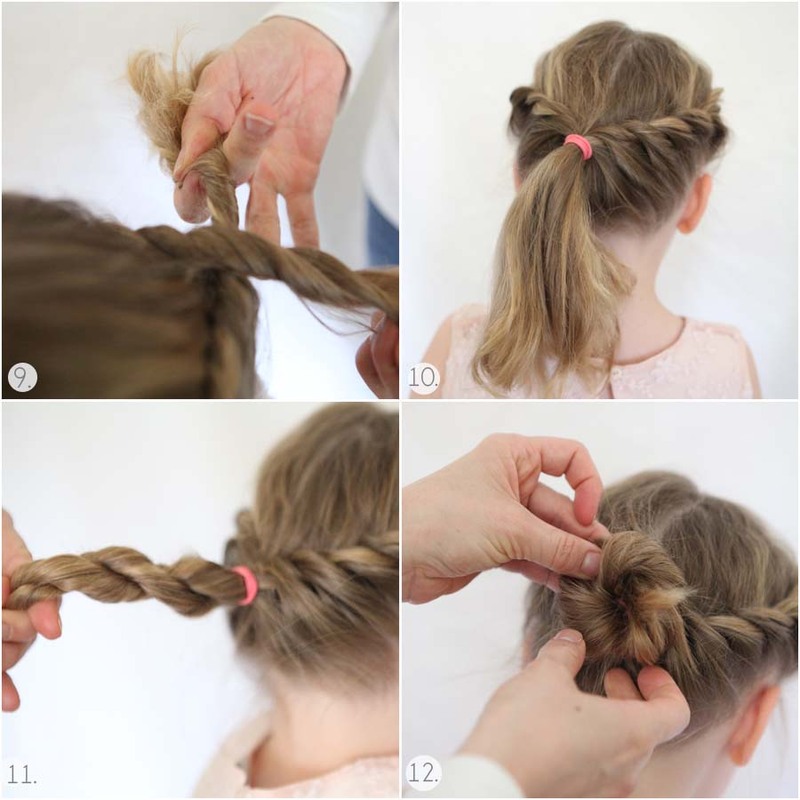 Repeat the same on the other side of the parting, pinning up the finished braid, meeting the other braid at the back of your head, leaving the rest of your hair open. 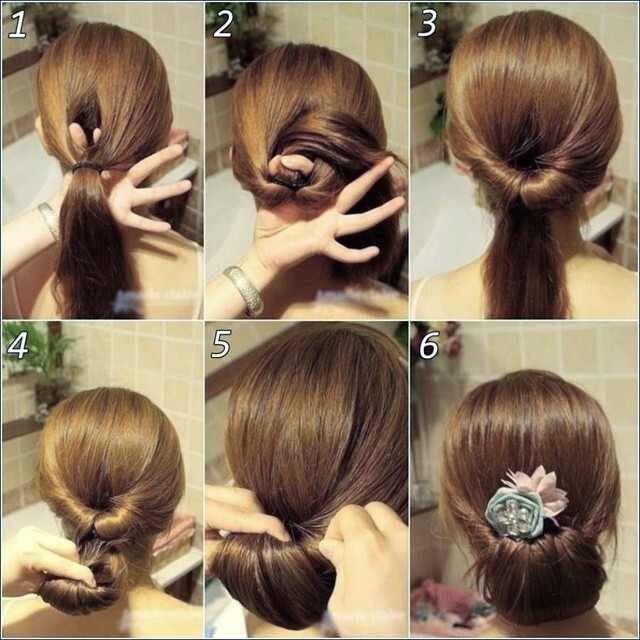 If the hot and humid weather, takes a toll on you and you like your hair neatly tied together, try the twisted side bun. Side part your hair and start twisting the fringe section, moving from inside, out. Now tie up the twisted part neatly at the back. Next side sweep all your hair and start twisting them. Now roll them up into a bun, tucking them safely on the side with bobby pins. Don’t worry about the small hair peeping out of the bun. They’ll give you a chic messy look. So this one is for a more neat, elegant look. It’s simple and looks fabulous with traditional Indian outfits. Try it out. Pull all your hair back and tie it down in a ponytail with a rubber band. Now pick up the ponytail, upside down, making it pass through the upper section of your hair. Now start rolling your ponytail, until it reaches your nape. So these were a few chicer versions of our traditional Indian hairstyles that work brilliantly with ethnic wear. Sport one of these this Teej, and you’re sure to make heads turn.